Food waste is estimated at 25% of the average American family’s grocery shopping dollars — a little more than $2,000 a year. Fresh fruits and vegetables top the list, because many are wasted in the trash or compost bin. 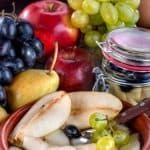 If you have a better use for $2,000 this year, please read on for simple ways to store and preserve fresh fruits and vegetables. These storage recommendations are for popular seasonal vegetables. 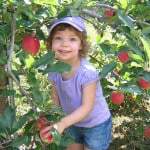 As a rule, locally grown organic produce does not stay fresh as long as conventional produce. 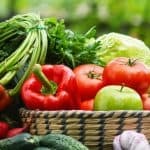 Store all fresh vegetables without washing. Moisture makes vegetables decay more rapidly. Just before you are ready to use them, wash vegetables in plenty of running water and then prepare as desired. 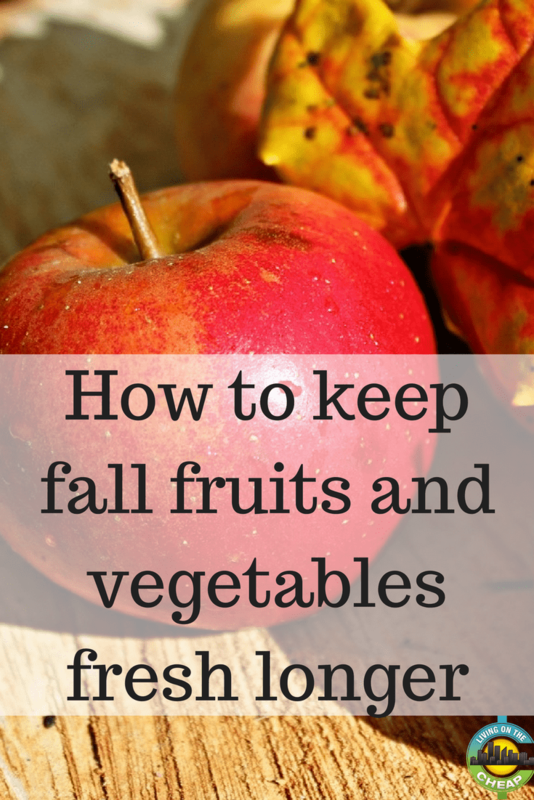 Vegetables that show signs of spoilage begin to wilt or soften. 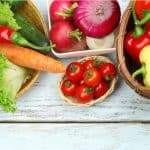 Before they become food waste, preserve them using one of these best preserving methods for fresh vegetables. 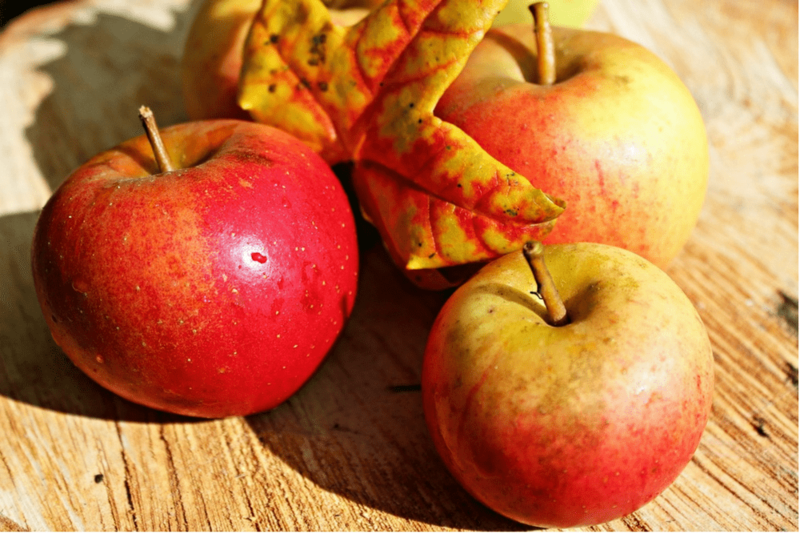 Apples and pears: Pome fruits (apples and pears) last three to four months or longer when stored unripe and as near freezing (32° F) as possible. Pack fruit into well-ventilated plastic bags; or wrap pieces individually in tissue paper and layer in containers or boxes. If you use plastic bags, routinely examine them for condensation; immediately air out bags with visible moisture, because the fruit can quickly become moldy and inedible. At room temperature, unripe fruits will ripen in about five days. Apples and pears give off ethylene gas; you may store them together, but away from other crops, especially onions, potatoes and bananas. which easily transfer odors. Beets, turnips and rutabagas: Store greens and roots separately, since they have different storage requirements. To store greens, cut them from the roots, leaving one to two inches of stem attached to the root. Wrap greens in a paper or cloth towel and place in the vegetable bin or plastic bag in the refrigerator. To store roots, place them unwrapped in the vegetable bin or in a plastic bag in the refrigerator. Store greens for a few days and roots up to three weeks. Carrots and parsnips: Carrot and parsnip greens are usually cut off and discarded. However, some people like to use the tops to make pesto, add to salads, or cook them in soup like you would parsley. If your skin is irritated when handling the greens, you are sensitive to the tops and should avoid consuming them. Visit the World Carrot Museum for more information. Store roots in the vegetable bin or in plastic bags in the refrigerator up to two months. Large mature roots, especially those mulched in the garden over winter, keep longer than young vegetables. Raw parsnips turn brown when peeled or cut, so soak for 15 minutes in 1 quart water with ¼-cup lemon juice or 1½ teaspoons vinegar and 1½ teaspoons salt. Potatoes: Store raw potatoes in a basket or paper bag in a cool, dark place (40-60°F) to delay sprouting and shriveling. Never refrigerate raw potatoes, which turns their starch to sugar and creates “off” flavors when cooked. Potatoes exposed to light will turn green. Therefore, before preparing potatoes be sure to trim any green areas, which taste bitter and can cause indigestion if eaten in large amounts. If potatoes sprout or shrivel, trim the sprouts and cook as soon as possible. Store potatoes away from other produce, especially apples, pears, bananas and onions. These vegetables give off a gas that causes potatoes to spoil more quickly. Raw potatoes turn brown when peeled and cut. If you need to hold potatoes after cutting, soak for up to 15 minutes in 1 quart water with ¼-cup lemon juice or 1½ teaspoons vinegar and 1½ teaspoons salt. 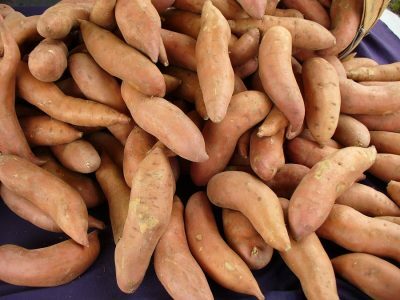 Sweet potatoes: Like potatoes, store sweet potatoes in a basket or paper bag in a cool, dark place (40-60°F). If stored at room temperature, use within one week. Pumpkin and winter squash: Store winter squashes in a cool, dark place (50-60°F) up to six months. 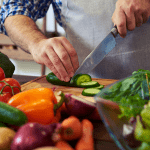 Broccoli and cauliflower: Wrap vegetables in a paper or cloth towel and place in the vegetable bin or in a plastic bag in the refrigerator for up to two weeks. Cabbages and bok choy: Store heads unwrapped in the vegetable bin or in a plastic bag in the refrigerator up to two weeks. Wrap ruffled Savoy and Nappa cabbage or leafy bok choy in a paper or cloth towel before storage. Ruffled leaf cabbage varieties spoil more quickly, so plan to use them within a few days. Store green tomatoes loose in the vegetable bin or a plastic bag in the refrigerator up to three days. Peppers (hot chile): Store peppers in the vegetable bin or plastic bag with holes (or left open) in the refrigerator up to one week. Celery: Celery seems to be routinely discarded. Wrap fresh celery stalks in paper or cloth towel and store in the vegetable bin or in a plastic bag in the refrigerator up to two weeks. It is easy to dry or freeze celery. Simply slice or dice celery before it grows limp or spoils, and then freeze in containers or bags, or dry it in a low (130-140°) oven. Use frozen or dried celery in soups, stews and other cooked dishes. Fennel: Like root crops, store fennel bulbs and tops separately. Place bulbs loose in the vegetable bin or in a plastic bag and wrap tops in a paper or cloth towel. Store both in the refrigerator, but store tops for a few days and store bulbs up to one week. Greens, including beet greens and spinach: Before storing, remove and discard any bruised or wilted leaves. Store greens in plastic bags in the refrigerator. For leafy greens, store up to two days. For whole heads (with core still attached), store up to one week. If salad greens begin to wilt, make this lettuce soup recipe, which you can enjoy today or freeze up to one month. Just be sure to freeze the soup without cream or milk and add it when you reheat the frozen soup. Mushrooms: Store mushrooms in a brown paper bag or wrapped in paper or cloth toweling in the vegetable bin in the refrigerator up to one week. To extend their storage life, layer mushrooms in paper or cloth towels. Definitely do not store mushrooms in plastic or other airtight containers, since this shortens their storage life to just two to three days. Dehydrating veggies and fruits for use later things like snacks, soups or ground into powder or flakes for seasoning (peppers/onions/tomatoes) is a good way to save foods from spoilage.